The Diesel Living range in partnership with Seletti recently caused rather a stir at Maison et Object in Paris, with an eye-catching collection of cosmologically inspired dinnerware. 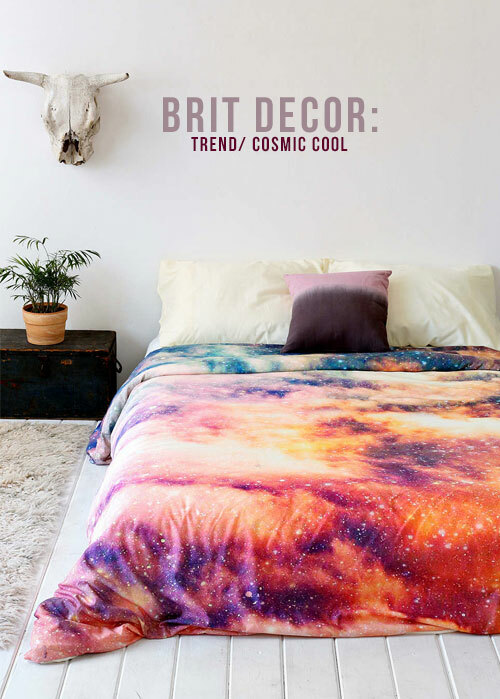 The sheer number of colour combinations and patterns found in this theme creates a heavenly feast for the eye so it's no surprise that we are looking to the skies today for what is set to become an eye-catching interiors trend for 2015 - Cosmic Cool. One of my favourite phrases to pull out when styling interiors is 'Go graphic' because this really does work. Bold and colourful graphics in the form of prints, textiles or wallpaper, can create instant energy and detail which then allows us to pick-out threads of colour and weave these into our scheme as accents. 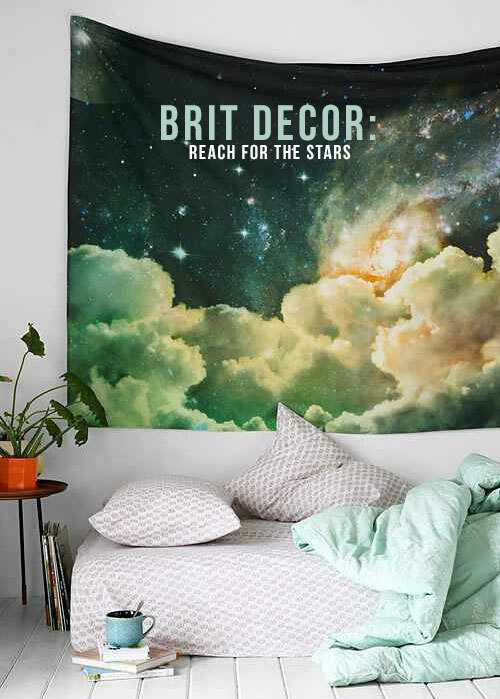 A strong wallpaper print or mural can be a great starting point to kick-start a scheme, such as the slightly sci-fi sounding 'Spiral Planetary Nebula' mural (no.1 below). 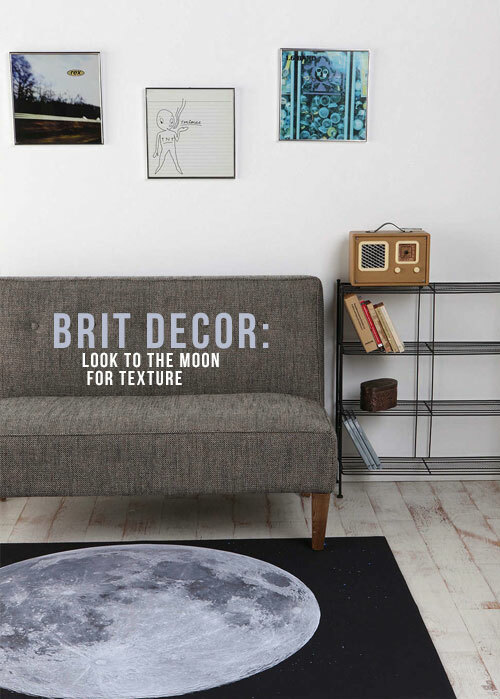 Note how it is then possible to bring in our accent colours with accessories such as the striking 'Venus' cushion (no.2) and the gorgeous turquoise 'Dixie' sofa (no.4). 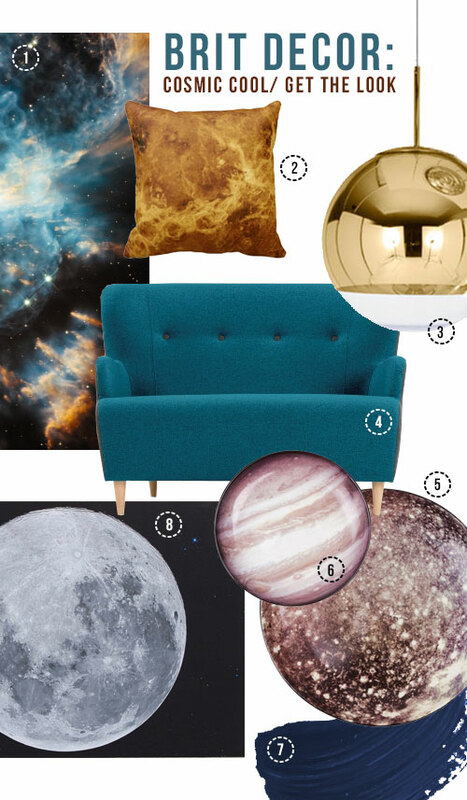 To help reinforce our planetary scheme I have incorporated strong design elements such as the sun-like 'Gold' mirror ball light (no.3) - sure to make a seriously grown-up style statement and ensure that this scheme doesn't descend into a kitsch mid-20th century sci-fi set! Other graphic statements such as the 'Trompe L'Oeil' rug (no.8) serve to reinforce the cosmic-look and creates the illusion of texture. 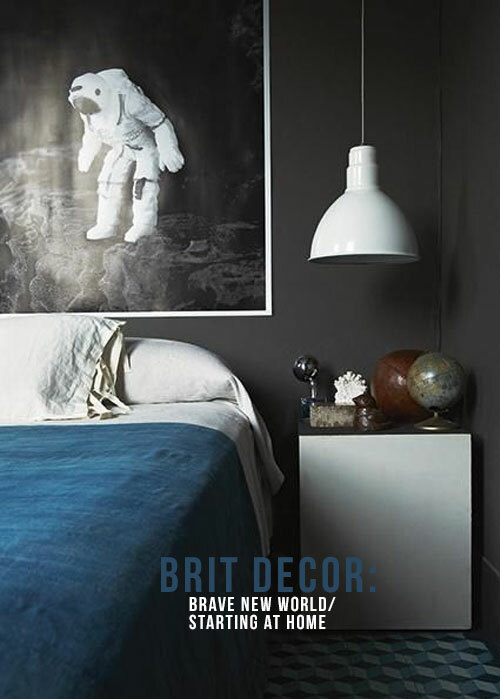 The more that we learn about the universe, the more eclectic it is increasingly looking, so don't be afraid to be playful and have some fun by incorporating your own galaxy of colour, pattern and texture. Will you be exploring this look in 2015?